We are pleased to provide precision laser engraving and laser cutting services. Our advanced laser equipment is able to handle a broad range of jobs and can produce high quality, intricate markings quickly and cost effectively. 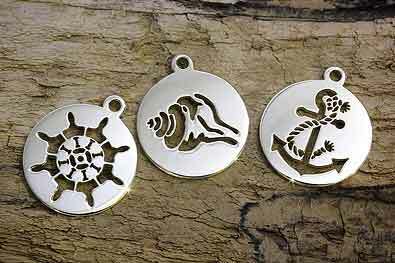 Laser engraved and laser cut disc charms are a perfect way to promote or fundraise for your organization, remember an event, or award success. Whatever your cause, these pendants will beautifully communicate your message. 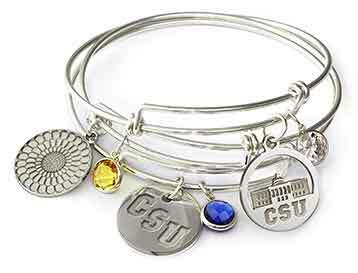 We can also finish the job for you; ask us about having your disc charms placed on our finished necklaces and bracelets and packaged in a gift box. You can be subtle, but still let your customers know who you are. 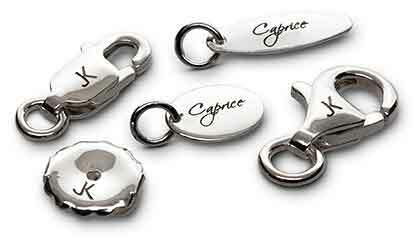 Engraving smaller findings is a great way to solidify brand awareness. 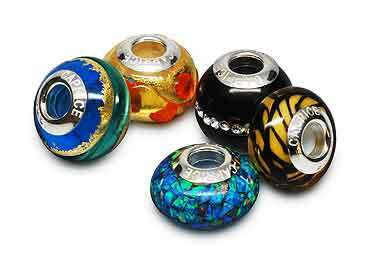 Common findings that we engrave include clasps, quality tags, earring backs, and bead grommets. Laser engraving is the practice of using high-powered, computer-controlled lasers to engrave, mark, or cut a design into a product. Our advanced laser equipment offers the benefit of non-contact, abrasion-resistant, permanent marking. Our high-speed system is ideal for a range of jewelry manufacturing and novelty product applications and we can engrave almost any image with extraordinary detail. Using your .pdf, .jpg, .dxf, or .dwg files, we will convert your design into a CAD/CAM file to be uploaded to our laser cutting machine. This process eliminates the need for molds, models, or castings. Depending on your design, laser cutting, laser engraving, or a combination of both may be the best option. For more information on getting started with your laser design, please contact us.